John Carpenter has always been about transcending what ever form of storytelling he pursued. Even when paying homage toWesterns or remaking something like “Village of the Damned,” Carpenter never approaches it conventionally. With “In the Mouth of Madness,” he had every chance to repeat the same meta-beats as “They Live,” but he ends up delivering a genius, beautifully loony, often brilliant piece of cinema that’s both a tribute to literature, a meditation on the power of the imagination, and our own state of being and reality. From The H.P. Lovecraft Historical Society and Andrew Leman comes the excellent “The Call of Cthulhu,” a short film I was lucky enough to experience years ago and was lucky enough to re-visit. From 2005, the independent effort channels the horror and sheer terror of HP Lovecraft’s mythology so well, the time manages to fly by without a hitch. “The Call of Cthulhu” is a brilliant throwback to the silent film era channeling the likes of Val Lewton to bring audiences a love letter to a time in film when horror meant the twang of the score, and focusing on the horror of our actors. Before he was an iconic horror writer that every horror buff emulated, HP Lovecraft was a young boy named Howard whose imagination kept him company in 1897. After visiting his father in an asylum and consoling him for suffering delusions about monsters and beasts, Howard’s mother gives him his father’s journal to read for fun. Little does Howard know that his father’s journal, which happens to be the Necronomicon, is a portal to a magical world where Howard makes friends with a lot of creatures, all of which are not as they seem. There he makes friends with a squid faced monster that becomes his loyal guard, and has to face a monstrous being known as the Shoggoth in hopes of stopping an unusual queen who wants the Necronomicon. Courtney Joyner’s “Lurking Fear” is classic Full Moon Entertainment from the nineties. It has a modicum of a budget, some great production value and a solid horror story. Thought it’s a loose adaptation of the HP Lovecraft tale, it does take the elements and combine them to form a classic folklore horror tale about greed and criminals getting their comeuppance. John Martenses is an ex convict who has just been released from prison and is seeking a new start. As well as the fortune apparently left behind by his family. We all know zombies; the flesh-hungry reanimated corpses who often shamble towards their prey looking to add them to the ranks. Yes, they’ve become a staple of the horror scene and are generally one of the most popular creatures to crawl out of the ground and into our collective nightmares. I joined up with my good buddy Felix to talk about the unique zombies to fear, and the five zombie slayers that battle them. Without further ado, here are our ten favorite Zombies. List some of your own favorites in the comments! 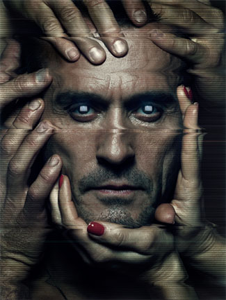 The premise of “Cult” feels like a new age serial version of John Carpenter’s “In the Mouth of Madness.” Wherein the former title examined the rabid fandom of literary fans with author Sutter Cane who was an amalgamation of HP Lovecraft and Stephen King, the new “Cult” examines the sheer lunacy that can arise from the fandom of television shows. The series so far isn’t an indictment on the dangers of fandom, but it does explore how passionate fans can be, and how they can often breed a cult-like following that’ll do anything to honor the spirit of their favorite series. 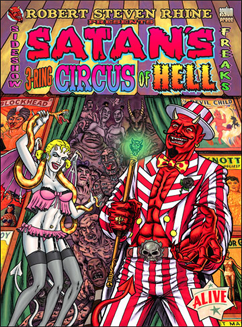 With over forty independent artists on board, “Satan’s 3 Ring Circus of Hell” is a mixed bag horror anthology graphic novel that tells varying short form horror and fantasy stories that literally have no limit to their obscene and gruesome storytelling. Robert S. Rhine also uses the graphic novel as a forum to tell his short story that won Best Dark Fiction at World Horror Con. There are some sick and demented one page comics, as well as deep and complex fantasy storytelling. And what graphic horror novel would be complete without a Lovecraft short comic about the great Cthulhu? In 1988, Empire Pictures sought to create an anthology of films that would act as sequels to their big hits. There was a planned “Trancers 1.5,” a sequel to “The Dungeonmaster,” and the HP Lovecraft short film “The Evil Clergyman.” Re-uniting the legendary Jeffery Combs, and the gorgeous Barbara Crampton, the film was never released, and for many years it was thought to have been lost. 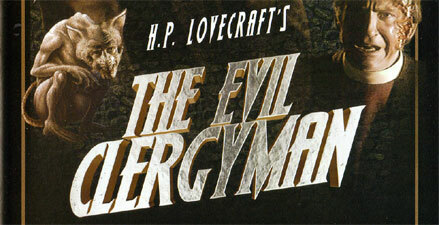 After being discovered on a low quality VHS, the print of “The Evil Clergyman” was restored as best as possible by Full Moon and given a new opening title and brand new music to accompany a fairly twisted story.